Numerous people are reporting that they cannot see fields in QuickBooks 2013 particularly since the R6 update. For example, in the write checks window people indicate they can no longer see the column for class, customer:job, the billable box and that these fields are missing. 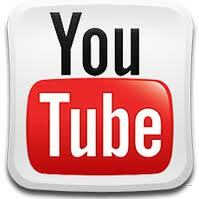 Additionally, some people indicated that it may not affect all company files (i.e. things look ok in one file but not in another file). Keep this in mind if you or your clients have missing fields or display problems and refer to this post for details on how to fix it. We have identified the cause of the missing class column … it is a Windows Font setting issue, and changing it to the default Windows setting has been confirmed as the solution. It’s actually the DPI setting that causes it, not the updates. 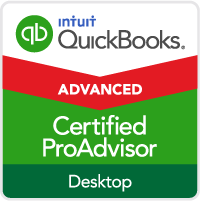 QuickBooks has always been designed to work best with default DPI values. Ever since as far back as 2007 QuickBooks, non-default DPI settings can cause some strange rendering in the UI. And not just QuickBooks, other programs as well. It also depends not only on the DPI setting, but also what resolution your monitor is set to. Best thing to do if you want bigger fonts and not have issues with QuickBooks, is to leave DPI at normal (96dpi) and try lowering your screen resolution to find a good balance between visibility and screen real-estate. You can try lowering your screen resolution down, as that helps overall. If you’re running at 1920×1080 resolution, everything will be very small. DPI just makes fonts bigger, but if you lower your screen resolution down, everything will be bigger and easier to see. You may need to try different resolutions to find one that is the most comfortable. Try 1440×900 or 1680×1050 for example if you have a larger wide screen monitor. If you have a small 19″ or 17″ monitor, maybe try something around 1280×800 or 1024×768. Various parts of the QuickBooks display can be affected by your Microsoft Windows resolution and font settings. If you are not using the Windows default settings, you may see one or more of the QuickBooks display issues listed above. To correct your QuickBooks display, you may need to adjust your font, screen resolution, or other Windows settings. Choose Display on the left hand side. Choose Smaller – 100% (default). This keeps text and other items at normal size. On the left hand side of the Appearance and Personalization window that opens, click Adjust font size(DPI). Right click the Desktop and choose Properties (A “Display Properties” window will open). There can be custom DPI settings setup depending on which version of Windows used. To find out how to setup custom DPI settings go to the Windows Help for that Operating System. I didn’t lose all my columns, but the sizes were screwed up. For example, the description column on the items tab is extremely narrow, while the quantity tab takes up a quarter of the page. I have been dragging the edges to adjust the size, which changes back every time I open QB (Pro 2015). My screen resolution is optimal so I don’t think that’s the problem for me. But today I have a new problem that is absolutely mystifying. The class column has moved two columns to the left on the items tab in both write checks and enter bills. I haven’t updated the program and have NO IDEA how this could happen. This seriously hampers my flow, and I can’t seem to move it back where it belongs. It’s beyond annoying. Do you have a fix for this? Thanks! Try repairing the QuickBooks installation — go to the control panel to add/remove programs, select QuickBooks and Repair. If that doesn’t work, then uninstall / reinstall it. This is the #1 reason I am looking to replace quickbooks. The inability to change the window sizes so they fit properly like they did before the R6/2013 update. I am a programmer/analyst and this is so annoying I am thinking of writing my own accounting system to fix all the bugs I keep finding in quickbooks. I had this problem on my computer but I believe it is due to using a VPN (Teamviewer) to access the computer remotely. After using the VPN the QB settings get messed up so closing QB and reopening solves the problem. At lease until I log in through Teamviewer again. Just updated to Pro 2015 from 2012 after postponing as long as possible. No class column for checks. DPI, resolution settings didn’t help — but resetting class tracking seems to have worked. Many thanks to Linda Morrison and all others who have passed along ideas on this problem, which obviously remains unfixed by QB. I hate this solution. I have to change the font size on every part of the rest of my computer and it messes everything up! The rest of my computer is fine. The only font that I want to change is the one in Quickbooks! Just one more reason I hate quickbooks. Just like all software companies eventually they get lazy and go the way of the dinosaurs. Quickbooks has been relying on the installed base, and adding worthless functionality at the expense of on the basic functions. They never solve problems they try to get third parties to debug their programming. If you adjust the column width for the date & memo field to make it smaller, then change the font size back to the small setting, it will show the missing column fields. You no longer have to change it back to medium or larger setting once column widths are adjusted. I am using QB 2016 Premier Edition. I have been using QB for more than 25 years. I have always had this problems. I have always had bad eyes and used a large screen. But it makes no difference. It doesn’t work. I am a bookkeeper. QB had lost many of my customers becuase of this issue. I am about to drop them too. I have a huge screen, to no avail. I change the serttings in Windows and everything else changes but not QB. It is really getting to be a nightmare. I have dropped some of my customers because they have such a small screen I cannot see it. Then others just get tire of QB. I do not understand why I cannot go into QB itself and change it from within. My complaints to them have led nowhere. i’ve had it. Make this version more accessible QB. The print is so small I have trouble reading it WITH mny glasses on…. Hey — you can set the display to tiny & unreadable, move the columns around on a check, and then set the display back to something that fits your eyes! I was glad to find out why my Class, Job, and Billable columns were missing from my checks, but horrified when I tried changing my display from 125% back to 100%. Everything was too small for my eyes, and not just in QuickBooks. But I opened up a blank check in QuickBooks and shrunk the Memo column way down so that the Job, Billable, and Class columns moved over quite a bit to the left. Then I changed my display back to 125% and got back into QuickBooks, and my change was still there — my columns were all visible!!! I agree it’s a stupid problem and I don’t like ANY of the interface changes that I’ve seen since going from 2011 to 2014. But at least this one has a workaround. This did not fix the problem and I am still unable to write checks. This is a horrible version, very user unfriendly. May 5, 2014 – I sure miss the ability to change fonts in the QB.ini file, like before. I don’t know why Intuit did away with that. It was easy, and only changed font size in QuickBooks . This solution doesn’t work for me either. It’s very frustrating. Good comments I’m glad someone posted still not fixed in 2014 release wish I could go back to 2010 version as it worked fine, now I will look for another accounting package. Upgrade are not upgrades when they don’t work, and blame the system for the software problems. I agree 100% This is so frustrating, I’d like 2012 version back, it worked fine as well! At this point I am considering going back to Peachtree. I upgraded to QB 2014 Pro and am having the same issue everyone has had with no “class” column. I did not have this problem with 2013. I did change my resolution but we shouldn’t have to do that. I’m in the same boat as the others – these 60 year old eyes can’t see the damn screen! I feel that QB should come up with a better resolution to our problem. I have a little bit of a different problem. In the Customer Center, it wont keep the width i set for the columns. As soon as I close it or close quick books it resets the width. Is there any way to make it keep the column width settings I set? QB has said it is because I have many columns and I should use less of them, but I need them all open. It is especially annoying because the customer name gets shrunk to the point where you cant see who they are so we continually have to widen it. We actually went back to ver 12 to avoid this issue. But I would like to upgrade. I have 2 clients with the same issue. In Chart of account every time you close and open it up you can’t read the accounts. You have to open up the column width again. I have contacted support twice. Neither time were they able to help. Would love to know how to help my clients fix this issue. If anyone finds a solution to this, i would love to know. Having to adjust the column width EVERY time I go to the Customer Center is extremely frustrating. The $ columns are huge…wish I had $ to fill them. Is there a way to increase the font size when printing invoices in the Quickbooks Online 2014 version? I too can not save and open the next check. 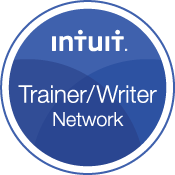 It seems quick books ( Intuit) support are to ready to blame a consumers settings or installation for a problem with their systems. Recently I spent 7 hours (with tech support)–after an upgrade to V.14 enterprize–just trying to get the new version running. Ver. 13 used the same settings that I courently use, and I never had the issues i am presently having. I can not change my DPI settings–The are adjusted thee way they are for a reason–SO I CAN SEE THE MONITOR !!!! @Deb, Is it just on your computer? Damaged installations can cause this kind of behavior as well. Wouldn’t hurt to repair qb or re install. 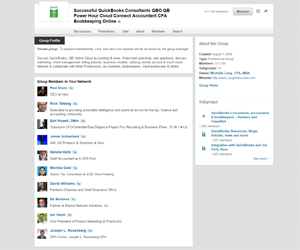 Hi Michelle, you have just answered my question on the QuickBooks community and added a link to this article. Just wanted to drop you a note to thank you for helping me resolve my issue. You’re welcome — I’m glad I could help. Michelle == Sorry to say non of what has been said here has helped me. I have gone to personalize, display set on smaller. When I do that which is the way it is at this moment, I can’t hardly see what I am typing right now, all programs drop down menu’s are so small can’t read them. QB is really bad. I did customize at 115% I really can’t go much bigger then not all of screen will show up. I can get front then for most everything in QB so I can read, but spell check comes up so small can’t even read the word that is misspelled. Most of the people above are talking QB2013. I have QB2011. Every thing was working good with my old computer with windows xp. I had XP on my desk top computer & laptop has windows 7. My new computer now is window’s 7 also. So that’s why can’t understand why the fonts have changed. new computer is a Dell intel 7. at the very beginning of this replay someone said basically my computer is too good for QB. Well I must say QB should work no matter what kind of computer a person has. All this I have been hearing about 2013 really makes me NOT want to update, for sounds like more problems than what I am having right now. Plus I DO NOT NEED TO HAVE A PROGRAM THAT GIVES YOU headaches for I get enough of them as it is. Both of us have to take special medications for headaches. There has to be a problem some place with QB on this font. This makes no sense to me why all worked fine before & with new computer not. Please is there a better fix?????? 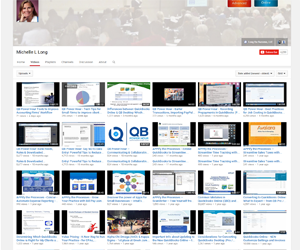 We have been using QB for 14 or more years, we started our Company ‘over’ with new networked computers and the new pro version multi-user 2013. On June 9th while trying to log on, after an update, I got an error message saying our company file was corrupted and unable to open. 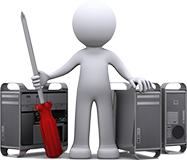 That was a month ago……we sent our files to Intuit, Data Recovery Team somewhere in the world but not here in U.S. We can not get our phone calls returned, we cannot get an answer as to where our files are or what the status of the recovery of our data is. EVERYTHING pertaining to our business is in those files and we have been unable to function without it. Inventory, purchase orders, payments to vendors, OUR CUSTOMER DATA BASE and the accounts receivable, checking accounts and reconciled statements, invoices and journal entries. I have called them 3 times in the last 24 hours with no response. I have never felt so lost. I wish there was a way to drop an Email to every board member from Brad Smith to Mr. Stansbury. Fox Business and News Channels are my next stop…. @kelly — I’m sorry to hear you’re having so much trouble. I’ll see if I can get someone to follow up with you who can help. I have had this problem also when I used a 125% screen size (Medium) with Windows 7 Professional and the manufacturer recommended screen resolution, 1366×768, for my monitor. The problem seems to be resolved for me in QuickBooks 2013 release 8 which I downloaded today, July 3, 2013. I had come upon another fix which was to go to Control Panel/All Control Panel Items/Display and click on the Set custom text size (DPI). As long as I did not use the medium setting (125%) and made sure that the Use Windows XP style DPI scaling box was not checked, the missing columns on the check appeared. I used 124%, 126%, 130% and 150%. All showed the five columns that I need for a check – Account/Amount/Memo/Customer:Job/Billable?. The last two had been missing in action. This might help if the problem arises again. This did it for us. I really appreciate you answering, saved us a bunch of time! I’m having a problem with a computer that doesn’t display the contact tab on the edit customer screen. I was convinced that it was a display issue; however, I tried several display resolutions w/o success. Though it doesn’t resolve the issue, I’m glad to see I’m not the only one. I had two client files open today, one I could see the class tracking field in the write checks screen and one I couldn’t – and it wasn’t just off the screen to the right – it was just not there at all. Class tracking was on in both files. I went into the preferences, turned class tracking off, and then closed out the file. Then I opened it up, went into preferences, turned class tracking back on, and viola! it was there – along with some other columns I hadn’t even noticed weren’t there because I wasn’t trying to use them. I had another person in the office try the same experiment with the problem file (copied before I fixed it) on a different computer & setup. She actually had to reboot her computer to get this to work, but it did work for her. I still can’t see the columns on my small screen, but at least they are there. Which is still weird because in the other file I’ve got open I can see all the columns. Anyway, maybe this will help someone – at least worth a try. This font issue did work for me. But the reason my font was bigger because I can’t read the damn thing. This issue is within QB and needs to be fixed. I can’t change my display to have the problem solved. 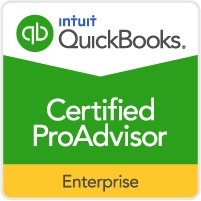 Our company upgraded from 2010 to 2013 Quickbooks Premier Contractor Edition. Most of out employee list is missing. You can see their names in the check register on their payroll checks, but they are not listed in the Employee Center. I tried changing the DPI, but it was already set at your recommended setting. Are there any other fixes? @Patricia — go to the Write checks window, click on Payee field and type Contol+L to bring up the list of all names — right click to re-sort the list. This should bring back the employee names. If not, create & restore a portable company file. Hold down the Ctrl key while opening the window again. If that does not work hold down the Shift key while opening the window. Your window should now open within the QuickBooks window normally. You tried the settings suggested above in the blog post? Did you try rebooting the computer after making changes? I’d suggest you call tech support for additional help. I have been reading all of these comments and trying the suggestions, all to no avail. I still cannot use the class column when writing checks, since I cannot see it and have about 100 classes. I also cannot see the “Save and Next” buttons, but out of my 25 clients, not all accounts have this problem so how can it be a resolution or user related problem? I find some of your comments to be offensive and condescending, as if we are too stupid to use a simple program. The only reason we use QB is because so many of our clients use it, and I find it user unfriendly in many ways, especially when it comes to payroll and reports. And tech support is cost prohibitive when they cannot fix the problem in the end. Quickbooks needs to jump on the problem and find the solution ASAP!!!! Here is another + longer version of my above question. Thank you. I use QB Pro 2010 seamlessly on Win XP on two separate (Dell) desktop machines. Currently on two different size monitors – one standard 15″ and one larger, 22″. No display problems ever. I am considering going to Apple, using a Mac Book Air with display of 13″. I will need to export current QB Pro 2010 company files from Windows computer to MAC and update to QB 2014. Do you recommend Mac Intuit or Parallel WIN on Mac? 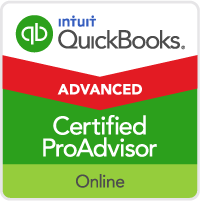 Which Quickbooks version do you recommend? Will I have any problems? Also, I have several databases (company files). I’ve been told following will not be automated conversion from Windows version: 1) Memorized Transactions 2) Customized Invoices 3) Reconciliations *** Is this correct? Will I have other issues with transferring data? Maybe this question is relevant enough to ask here, I hope. I use QB Pro 2010 seamlessly on Win XP on two separate (Dell) desktop machines. Currently on two different size monitors – one standard 15″ and one larger, 22″. No display problems ever. I am considering going to Apple, using a Mac Book Air with display of 13″. Do you recommend Mac Intuit or Parallel WIN on Mac? Which Quickbooks version do you recommend? Will I have any problems? Ya it does stink and it’s really awful when you say to a client “oh, you have QuickBooks 2013, we’ll need to keep your remote training session to an hour at a time”. It does not make them happy in the slightest! I hope 2014 will be different (but I’m not counting on it), so it seems that it will be early retirement for me! It’s only 2013 on all of my computers – 2012 or older still displays just fine (that’s why I say something just isn’t right). The “color” is better at least I can sort of tell what file I’m in (have to get used to a new color scheme). As for headaches – yes I still get them, even after a year I can’t work in 2013 for more than an hour at a time. This doesn’t make consulting clients or customers happy either let me tell you! It’s a real drag. Michelle, please don’t take this personally – but I pretty much have a problem with this “resolution”. I have a 25″ monitor and a very high resolution “gamer” type graphics card. The default resolution for my monitor is 1920 x 1080 with the font size set to Smaller – 100%. When making the suggested/recommended resolution settings (down to 1280 x 800 or 1024 x 768) everything looks absolutely horrible – like it’s going to hop right out of my monitor and swallow me! No amount of monkeying around with the computers OWN DEFAULT settings are correcting this problem! Something doesn’t seem right (to me anyway) in the explanation that QB was designed to work BEST with the default DPI – which is where my computer is set along with a default resolution. If everything is set on my machine to the best defaults – I shouldn’t be having any issues (nor should anyone else). No worries Nancy — I don’t take it personally at all and I’m glad to hear your feedback. I agree that there still seems to be some display issues that haven’t been resolved. Plus, I’m frustrated because when I restart it, it doesn’t open the last company file opened. It seems to revert to the first file I opened in 2013 (I think???). What do you think of some of the other changes? Do you still get migraines or headaches from it? I’m sorry to hear that Linda. Did you double check that classes were turned on in the Accounting / company preferences? You tried adjusting the display settings as indicated? Do you not see other fields / columns too? In QB, go to Help > Send Feedback Online > Bug Report to let Intuit know it didn’t work for you. when you run a P&L by class, does it look ok?